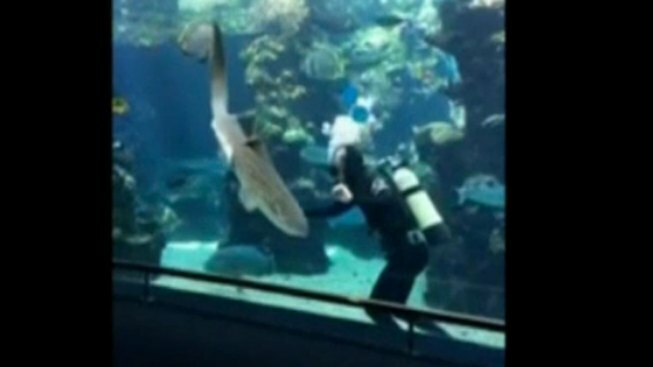 A brave shark tank cleaner at an aquarium in the South Pacific gave a leopard shark a hug and a belly scratch in a striking video posted to social media. While cleaning the tank, the aquarium-keeper in New Caledonia, a French island territory, noticed that the shark was approaching him, so he pulled it in and gave it a hug. The shark seemed to like the affection; it rolled onto its belly for a rub before swimming off. An aquarium representative said the shark frequently snuggles up with its keepers.